August 2015 | Florida Law Advisers, P.A. Florida is a judicial foreclosure state, that means the bank must go to court and receive court approval from a judge before foreclosing on a home located in Florida. Not all states are judicial foreclosure states, only 22 states require a judicial foreclosure process. Generally, a Florida foreclosure case must be filed in the circuit court for the county in which the property is located. Under Florida foreclosure law, a homeowner is not entitled to a jury trial, all foreclosure cases are ruled on by a judge, not a jury. See Florida Statute 702.01. If you are being threatened with foreclosure, contact a Tampa foreclosure defense lawyer, there may be legal defenses to stop the foreclosure. When a foreclosure case is filed in Florida the homeowner will have the opportunity to challenge the foreclosure and assert defenses in court. 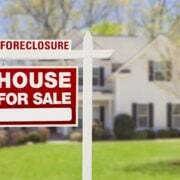 There are many defenses under Florida foreclosure law that may be applicable in a foreclosure case, including procedural failures by the bank and substantive legal defenses. Homeowners facing foreclosure should contact a Tampa foreclosure defense law firm for legal assistance right away. Typically, the sooner an experienced attorney gets involved the greater the chances are of preventing the foreclosure. Statute of limitations is a time limit set by law on when you can bring a lawsuit for a specific act. If a case is not filed within the statute of limitations that case is barred. Under Florida foreclosure law, the statute of limitations for a bank to file foreclosure is 5 years. See Florida Statute 95.11. The statute of limitations in Florida for foreclosure is 5 years; however, it is not always as clear as it may seems. If you need help with a foreclosure statute of limitations issue contact a Tampa foreclosure defense lawyer for assistance. For instance, in many circumstances the 5 year statute of limitations does not begin when the homeowner misses a payment, instead it begins sometimes years later. Therefore, it is important to seek the advice of an experienced Tamoa foreclosure defense lawyer when you think there is a statute of limitations issue in your case. It is up to the homeowner to raise a statute of limitations defense; the bank or judge will not address a statute of limitations issue unless the homeowner first makes the allegation. The vast majority of mortgages contain an acceleration clause. Acceleration refers to the bank demanding the full amount of the mortgage, not just the missed monthly payments. If the loan does not have an acceleration clause the lender can only demand payment of the amounts past due, not the full amount of the loan. The statute of limitations on mortgages without an acceleration clause begins to run on the date each payment becomes due. Therefore, under Florida foreclosure law, a bank must file a lawsuit within 5 years of the payment due date. On the other hand, if the loan contains an acceleration clause the statute of limitations begins to run when the loan is accelerated, not the date the payment was due. In some cases, the bank does not accelerate the loan until years after the payment due date. Simply missing a payment does not automatically accelerate the loan, the bank must take affirmative action to accelerate the debt. See Reed v. Lincoln. If the bank files for foreclosure more than 5 years from the date the loan is accelerated, it may be dismissed for failure to comply with Florida foreclosure law for statute of limitations. Additionally, under Florida Statute 57.105, if the case gets dismissed the bank may be held responsible for reimbursing you for all the fees you paid to your foreclosure defense lawyer in Tampa. However, it does not mean the homeowner will be able to keep the house free and clear of the mortgage. The bank may have the ability to file for foreclosure again at a later time. Under Florida foreclosure law, if the bank does file for foreclosure again they will not be able to rely on the same missed payment date they did in the earlier case. The bank will have to accelerate the loan within 5 years of filing the new case based on a different payment date. Further, the bank will be barred from collecting payments that are due more than 5 years before the subsequent acceleration date. If your mortgage company is threatening you with foreclosure contact a foreclosure defense law firm in Tampa for legal counsel. Homeowners have many options when it comes to fighting foreclosure, and we want to make sure our clients choose the best strategic plan for their family. Whether you want to keep your home and prevent foreclosure or walk away from your home without being responsible for any of the debt, Florida Law Advisers, P.A. can help. Our initial consultation is free and we offer flexible payment options to all of our clients. To speak with a foreclosure defense lawyer in Tampa call us today at 800 990 7763. Adoption is the process of creating the legal relationship between parent and child where such a relationship did not exist. When an adoption is complete the parental rights of the biological parents are terminated, and the adopting parties assume all rights, privileges, and obligations as parents of the adopted child. Generally, there are three types of adoption cases in Florida. The most common type of adoption cases are when the parents voluntarily consent to the adoption. 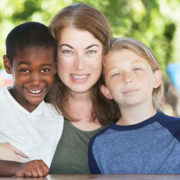 The second type of adoption cases originate in dependency cases where a court determines it is not in the child’s best interest to remain with the biological parent. Thirdly, are Florida stepparent adoption cases. All three forms of adoption are strictly regulated by Florida’s adoption laws. Navigating and understanding Florida stepparent adoption laws can be difficult, if you need assistance contact a Tampa child custody attorney for help. In order to complete a Florida stepparent adoption, the parental rights of the biological parent must be terminated by a court of law. The biological mother automatically obtains parental rights upon birth of the child. Therefore, in every adoption case where the mother is still living there must be a judgment of termination of parental rights entered by a court of law before the adoption can occur. If the mother was married at the time of conception or birth, the mother’s husband will also acquire parental rights automatically upon the birth of the child. Fathers to children born out of wedlock will need to legally establish paternity before being recognized as the father under Florida child custody law. For assistance with establishing paternity contact a Tampa child custody attorney. Adoption by consent can only occur if all the persons required to consent under Florida adoption law consent to the adoption in accordance with Florida’s requirements. If the minor child to be adopted is over 12 years of age the child must consent as well. See Carlson v. Keene. The minor child’s consent must either occur in front of the judge or be acknowledged before a notary public in the presence of two witnesses. Consent to adoption should not be taken lightly, the consent to a Florida stepparent adoption may not be withdrawn on a mere whim or because of a change of heart. Under Florida law, consent to a Florida stepparent adoption may only be revoked if the consent was obtained by fraud or duress. See Florida Adoption Statute 63.082. Absent fraud, duress, or undue influence a consent to adoption that is given voluntarily and freely is irrevocable. Further, the party wishing to revoke the consent has the burden of proving fraud or duress was present with clear and convincing evidence. Revocation of consent will depend on the facts and circumstances of each case. Therefore, if you think you may be entitled to revoke a prior consent to adoption you should contact a child custody lawyer in Tampa for advice about your specific case. If you are interested in adopting a child or need help preventing termination of your parental rights contact Florida Law Advisers. We have years of experience in both advocating for and against adoption. Our professional legal team is dedicated and passionate about these matters and will work tirelessly to help achieve the outcome you desire. To speak with a child custody lawyer in Tampa call us today at 800 990 7763, we are available to answer your calls 24/7.